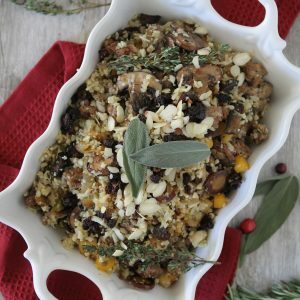 Ahhh, Thanksgiving hasn’t even arrived yet and here I am posting my second “leftover” recipe. Because hello, what’s better than turning all of that delicious food into MORE deliciousness? 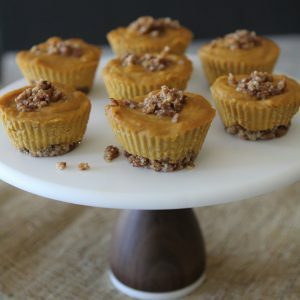 In case you missed it, hop over to my Twice Baked Thanksgiving Sweet Potato recipe as well. You know what I love most about this fritter recipe? Not just that it’s a fritter (what’s not to love about fritters? I mean, really) but that it takes those traditional Thanksgiving dishes and flavors and puts a non-traditional spin on them. I’m pretty sure granny would be cringing at the thought of chipotles and jalapeños at her table. But for leftovers? Game on! This recipe is also easy to prepare. I’m sure after all of the cooking you’ve done for Thanksgiving the thought of making MORE can be daunting. But the hardest part is already done. Turkey? Check! Mashed potatoes? Check! 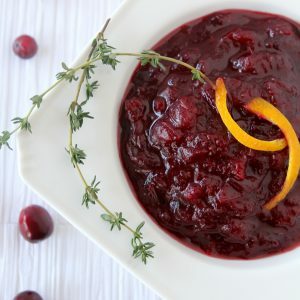 Cranberry sauce? Check again! 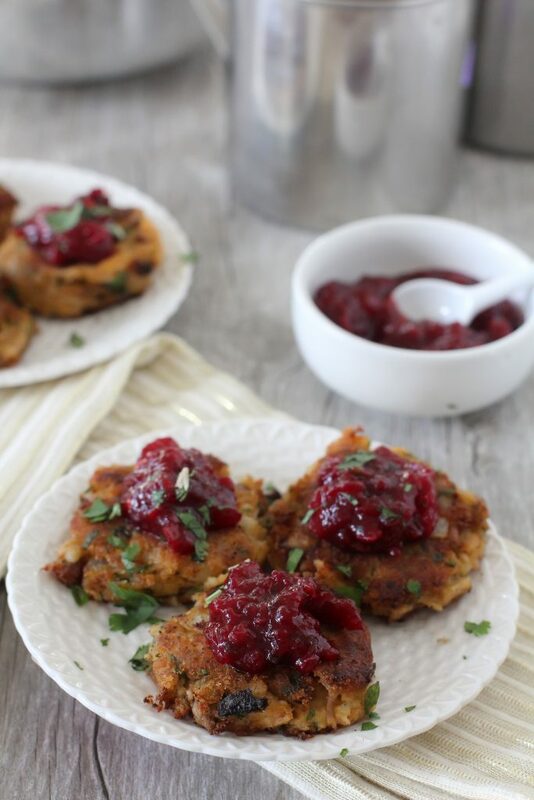 In fact, try make sure to try out my Orange + Honey Cranberry Sauce while you’re at it. If you can mix and fry, you’re gold. Feel free to add additional chipotles and jalapeños to the recipe as well. Depending on how spicy you like things, the sky is the limit. I had to keep mine fairly mild because I wanted the kids to eat it as well. I’ve got to say, while I love things spicy I don’t love it more than making a separate batch for C + T so mild it is. I tell ya, these kiddos really kill my spice game up in here. Woooomp, womp. Enjoy and let me know what you think of it below! 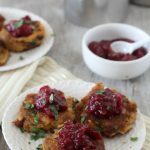 A paleo, gluten free fritter recipe for Thanksgiving leftovers. This sounds fabulous!!! Thank you so much.